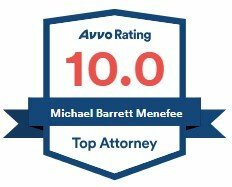 Knoxville Divorce Attorney | Menefee & Brown, P.C. The legal team at Menefee & Brown, P.C. is dedicated to helping people throughout Eastern Tennessee when difficult situations arise. When you are facing a divorce or other family law situation, having experienced and knowledgeable counsel can make a major difference for you and your family. At Menefee & Brown, P.C., our Knoxville Divorce lawyers have more than 30 years of combined experience and will use their insights to guide you through the legal process. Our attorneys will take the necessary time to listen to you to gain an understanding of specific needs, help you formulate your goals, and work with you to achieve them. Our Knoxville Family Lawyers have been recognized by the American Institute of Family Law Attorneys as a member of the “10 Best Law Firm” list. 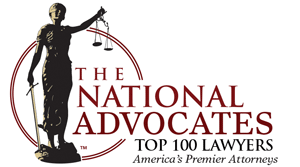 We are proud to also be recognized by The National Advocates for our commitment to providing superior legal services. Our clients know they are working with Knoxville Family Law lawyers who are actively advocating for them and treating them with respect. Our Knoxville Family Law attorneys will meet you where you are and take the time to listen to your story to gain a better understanding of your specific needs and expectations.